3 Packets of 10 candles. Please select quantity 1. 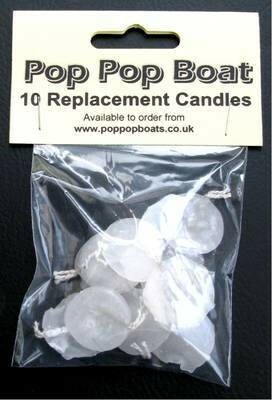 3 Packets of 10 candles to power your Pop Pop Boat. These candles are suitable for the standard round fuel holder as supplied with all our new boats. Please note: they are not compatible with the Chinese CX boat which uses long thin candles.